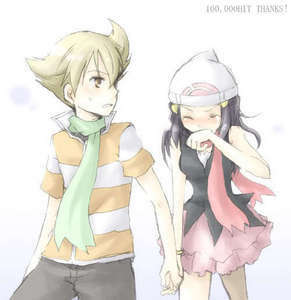 My Favorite Asspects of Pokemon Adventures. Which do you like the most? What is your favorite shipping? Have you given your Pokemon the same nicknames the characters did? Can you draw PokeSpe characters? Ok so BW2 chapter/arc is out! It doesn't have an English translation yet (like the ends of HGSS chapter and BW chapter) .It takes place 2 years after BW chapter. The two new characters are Rakutsu and Faitsu (Not Black2 and White2 but it's said their names are how White2 and Black2 are pronounced in Japanese(?) Not much about it is known tough. there is a person from Tumblr who has uploaded some scans . I have created a Pokémon Special fanart gallery (link) that I will open up to the public as soon as I have one or several moderators that can moderate it. So, if you like Pokémon Special fanart and want to moderate a gallery, reply to this comment or send a PM. Pokémon Special is getting a 64 page long art book in colour. a comment was made to the poll: What is your favorite cover for Volume One? a comment was made to the poll: If Red and Gold battle in HG/SS arc,Who do you think will win? What is the shipping name for Pearl x Platinum?